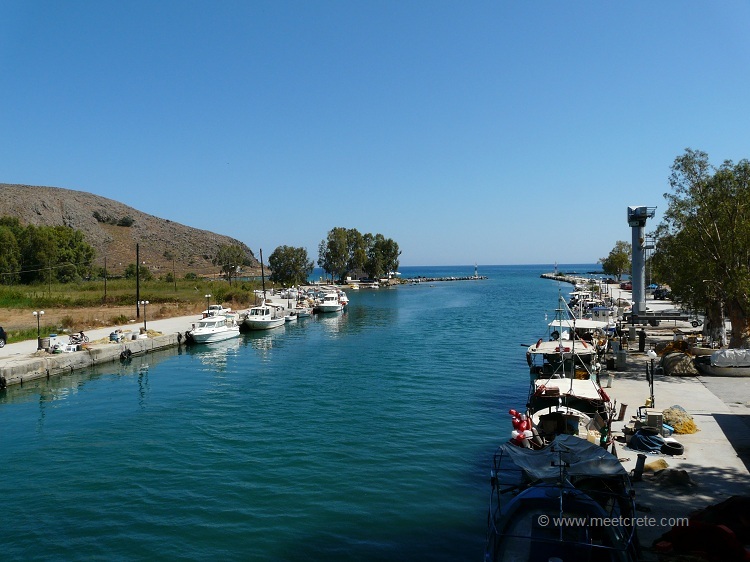 Georgioupolis – What was once was a sleepy little town at the mouth of the river Almyros (gr. 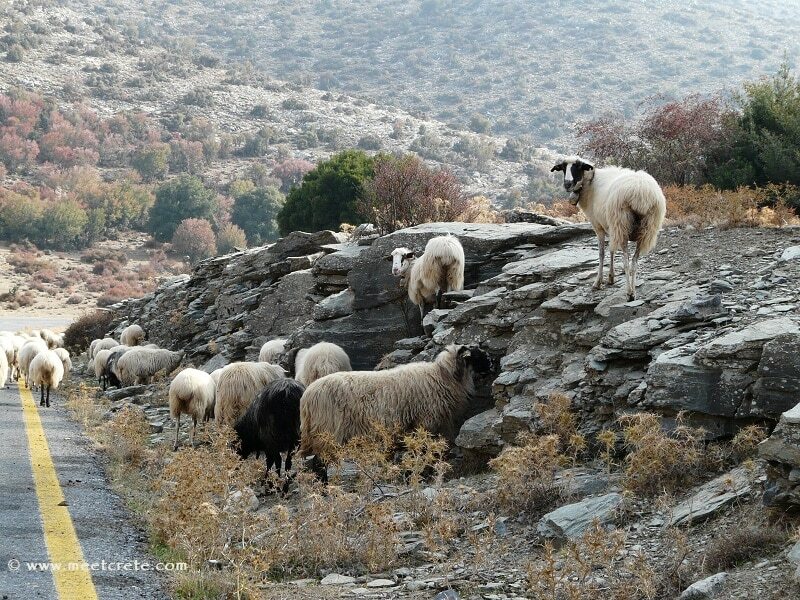 for salty), with its inhabitants as elsewhere on Crete earning their bread with fishing and farming, has now been developed into a collection of hotels, studios and apartments. What has remained the same through the decades? 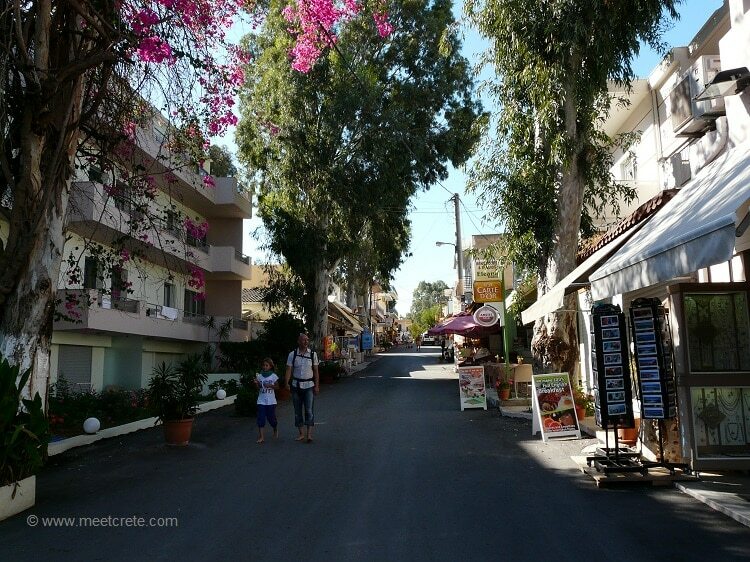 The relaxed atmosphere, the cafes and taverns around the village square, where you sit on both sides and monitor traffic and pedestrians with Argus eyes; and of course the hundreds of Eucalyptus trees which partially spread a heavy scent and strive majestically in height. One has the choice among several fine sand and gravel beaches. Georgioupolis is also the beginning of an approx. 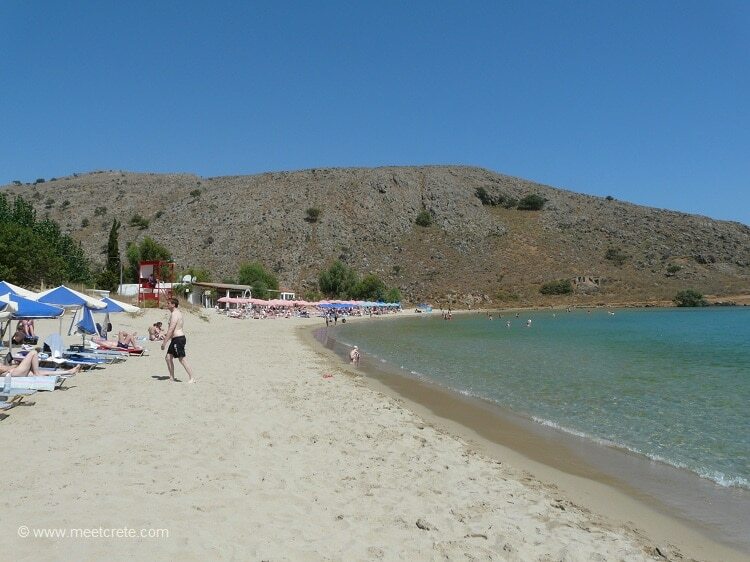 9 km long and very wide sandy beach, which past Kavros stretches along the coast until shortly before Rethymnon city. 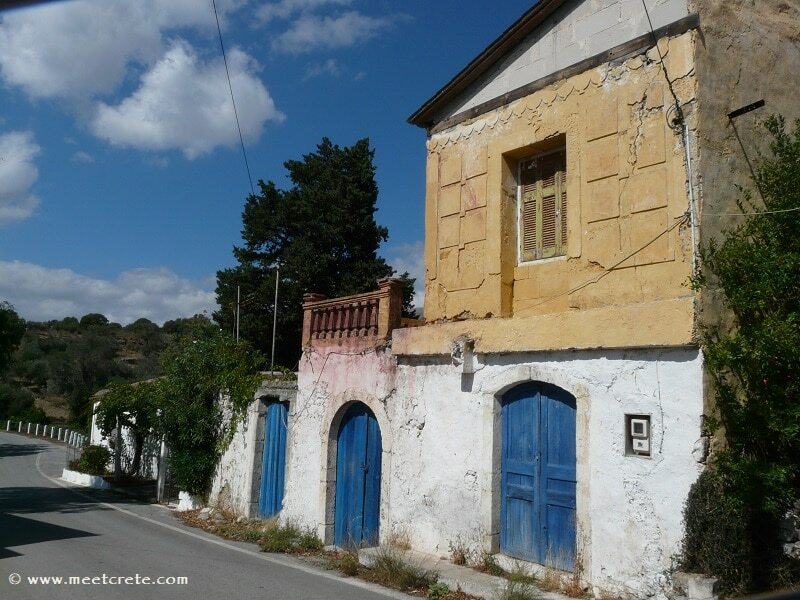 Don’t miss to leave the village taking this Eukalyptus alley towards Chania on the old road. After 3 km you will have the opportunity to join the new national road in both directions. 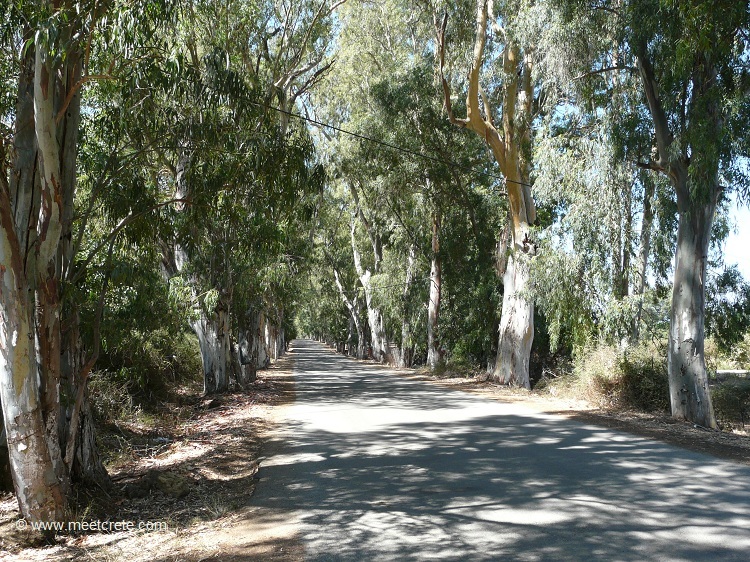 Where does the many Eucalyptus trees come from? 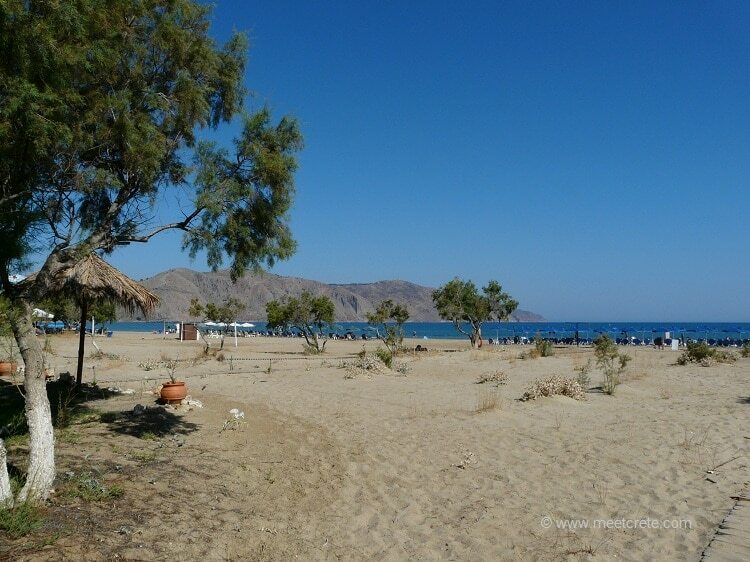 Should you wonder where the many Eucalyptus trees came from … here the very interesting history of the village Georgioupolis, where once lived pirates and smugglers! The historical data of the area stir already in Minoan times. 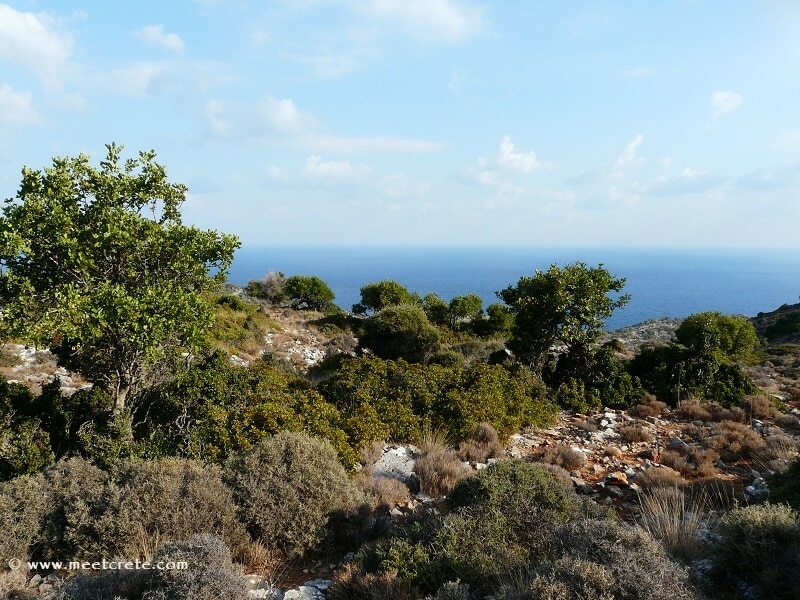 The excavations revealed a Minoan grave in the nearby village Kastello and a place of worship in the cave “Korakia”. 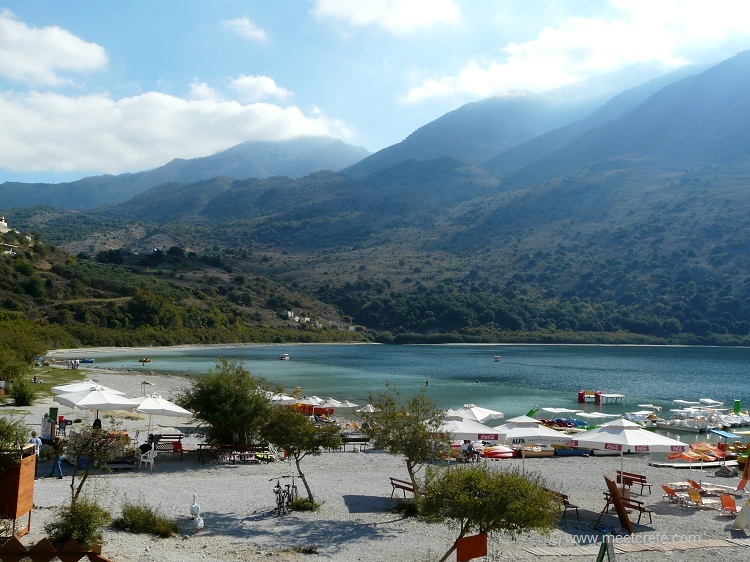 An archaeological site in the areas north of the village Georgioupolis was also identified as the ancient Amfimalla, the port settlement of the ancient city of Lappa (today Argyroupolis). 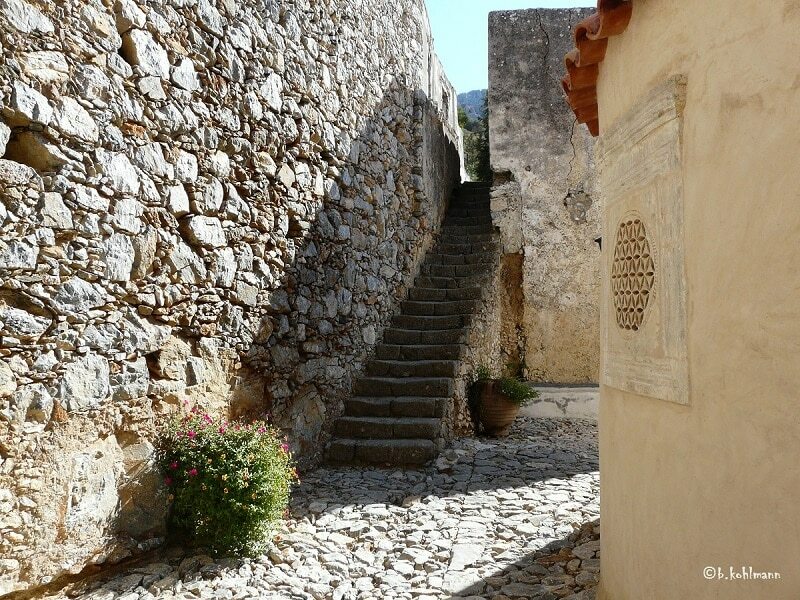 Since the early 13th century Crete was under the influence of the Venetians, through their literature we learn the names of the surrounding villages: Azogeromuri, Chrussopoli, Castle, Math, Philipj, Dramia, Curna, Calamitsi Amigdalu. All settlements were at that time removed from the sea to the hills for safety reasons. The bay of Almyros was the ideal place for a military invasion and was therefore provided by the Venetians with a fortress. Many battles around the region took place here in the following centuries, until the destruction of the fortress in 1821 by Cretan rebels. The infamous Almyros was conceded to a refuge of pirates, robbers and smugglers at the mouth of the river, demanding golden coins for a passage. The river offered refuge for smaller sailboats up to a distance of 500m from the sea, while in the north of the bay larger sailing boats and small steamers were docked. In the east, on a small island that is now connected to the mainland for nearly a century, a sailor built the church of Agios Nicholas, the patron saint of sailors. “Wherever you look, the eye falls to the many evergreen tall trees and shrubs and thousands of frogs, the vanguard of malaria.” A European traveler of the 19th century describes like this the area where men for fear of thieves left fallow fields, which led to the silting up of the area. In fact, a terrible malaria epidemic decimated the inhabitants of the surrounding areas. 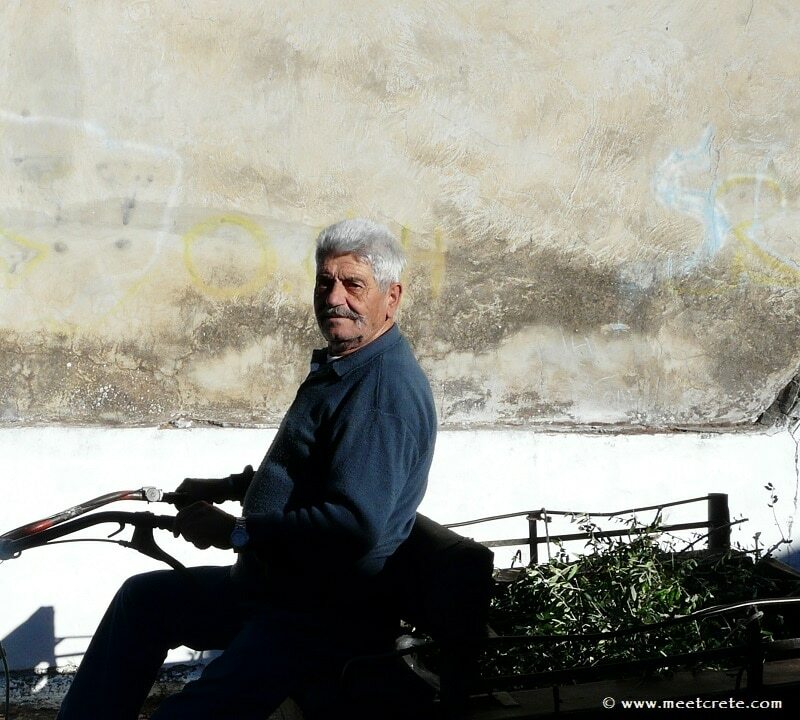 In this devastated area, a tradesman from Athens arrived in 1880 and immediately recognized the possibility of a profitable use of the estuary. He tried to convince the residents to use again the river water to cultivate their abundant fields. 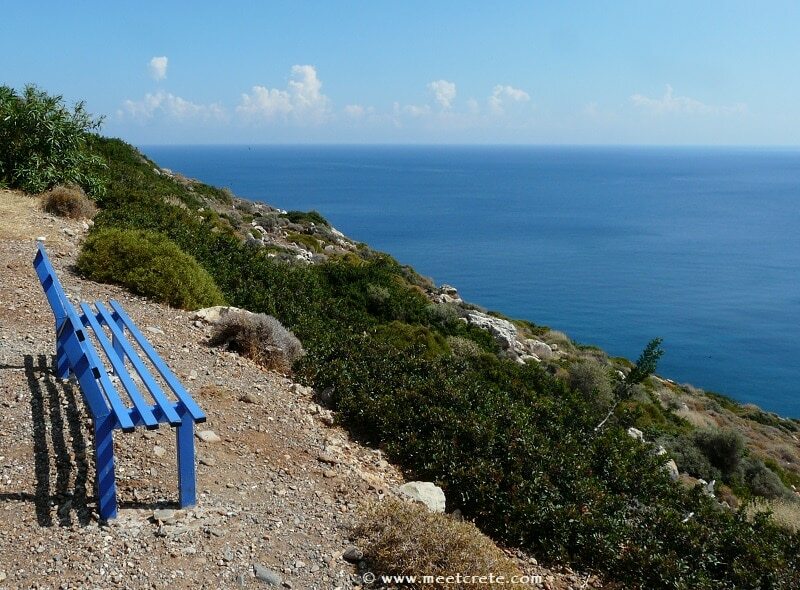 Miltiades Papadogiannakis, so was his name, built a house in “Kastellakia” and started working alone on his project. Doing so, he slowly draw people back to the area and they eventually helped him in his efforts. 1893 hundreds of eucalyptus and other trees were planted to lay the sump dry. The small town called Almyroupolis was founded. 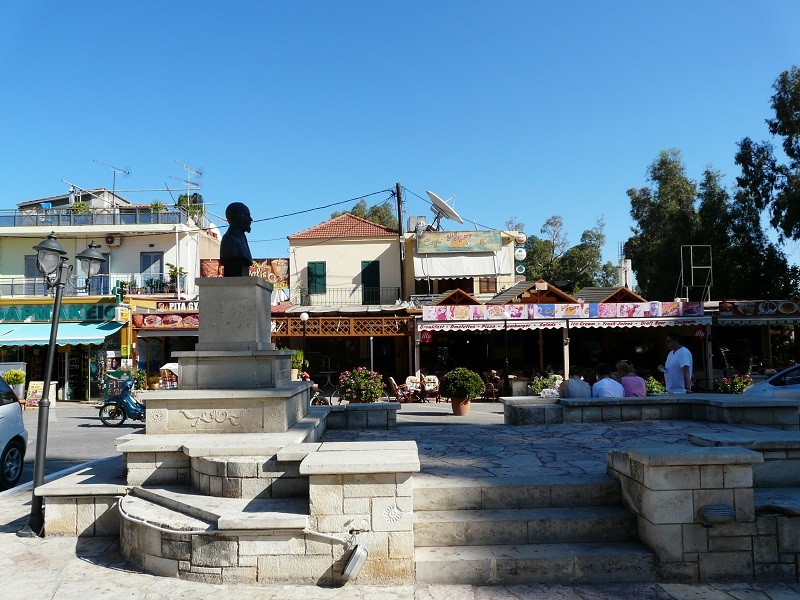 In 1899, in honor of the visit of Prince George in Chania and the upcoming union with Greece, Almyroupolis was renamed in Georgioupolis.